We were also involved in the design and refurbishment of the existing, listed WW2 control tower. "....this is a stunning conversion from a disused airfield control tower into a spectacular contemporary home. 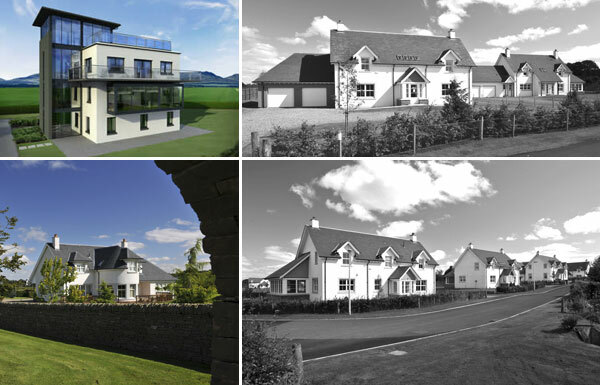 Designed by Denholm Partnership, this is set to be the landmark property within the Clathymore development. Constructed over four storeys, the control tower incorporates both stairs and a lift providing access to living accommodation which culminates in a dramatic roof- top sun room. The roof terrace has a glass balustrade, a feature which is also incorporated on the second floor balcony. A 'glass box' extension added to the first floor level provides stunning views to the Perthshire hills......"